My friend Lisa Dawn, the inspiration behind the amazing Coconut Lentil Soup, recently told me about this amazing brussel sprout dish she made. We L-O-V-E brussel sprouts here, so we are always up for a new recipe with them. 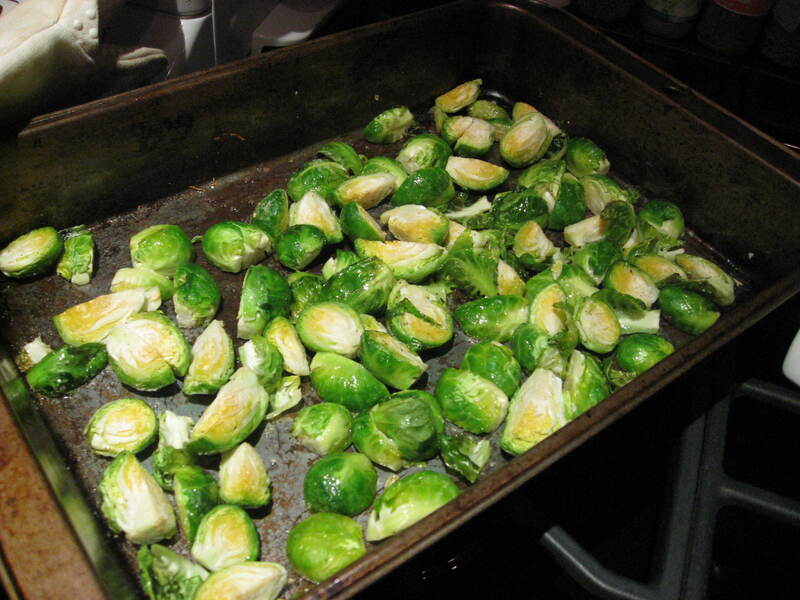 She adapted this from ilili’s brussel sprout recipe. It was really sweet, very fresh, quick and super deelish. Also see her guest post with the most deelish looking Vegan Stuffed Shells with Cashew Ricotta Cheese!! Toss Brussel Sprouts with olive oil and Salt and Pepper. Roast for 10-15 minutes. In a small pot, melt fig jam with water. 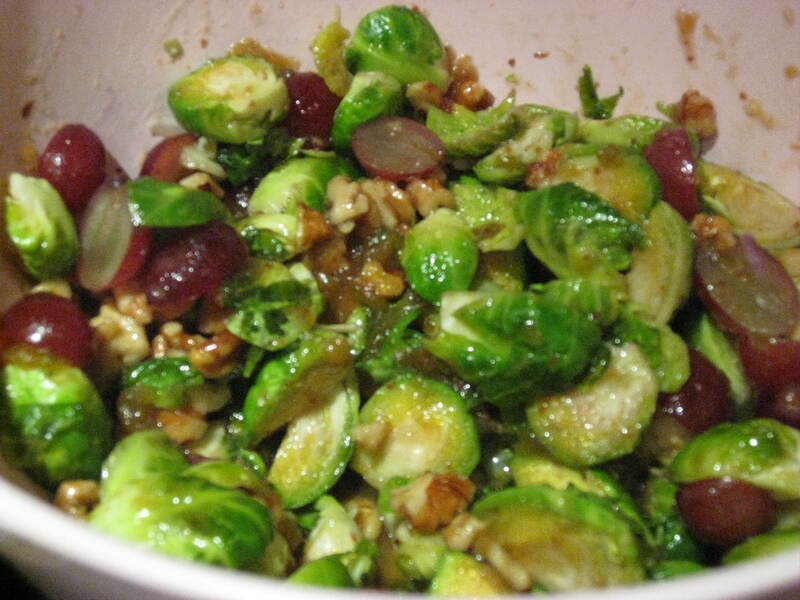 Mix roasted brussel sprouts with grapes, walnuts and fig mixture. Love the Super Bright Green Brussels! What a lovely idea – the sprout/grape combo sounds delicious! sprouts, grape & fig! YUM!!!! Let me know what you think when you try it.